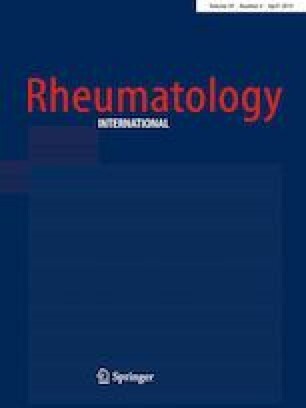 The aim of this study was to evaluate the reliability of the outcome measures in rheumatology (OMERACT) definitions for ultrasound (US) elementary lesions in gout through an image reading exercise. Images from patients with gout (static images and videos) were collected. As an initial step, we carried out a image reading exercise within the experts of the Pan-American League of Associations for Rheumatology (PANLAR) US Study Group (n = 16). The following step consisted in a web-based exercise with the participation of larger number of sonographers (n = 63) from different centers. Images were rated evaluating the presence/absence of any US elementary lesion. Inter- and intra-reader reliabilities were analyzed using kappa coefficients. Participants were stratified according to their level of experience. In the first exercise, inter-reader kappa values were 0.45 for aggregates, 0.57 for tophus, 0.69 for erosions, and 0.90 for double contour (DC). Intra-reader kappa values were 0.86, 0.76, 0.80, and 0.90, respectively. The web-based exercise showed inter-reader kappa values for aggregates, tophus, erosions, and DC of 0.42, 0.49, 0.69, and 0.79, respectively. The intra-reader kappa values were 0.62, 0.69, 0.77, and 0.85, respectively. Reliability was not influenced by the sonographer’s level of experience. The reliability of the new OMERACT US definitions for elementary lesions in gout ranged from moderate to excellent, depending on the type of lesion. Tomas Cazenave declares that he has no conflict of interest. Victoria Martire declares that she has no conflict of interest. Anthony M. Reginato declares that he has no conflict of interest. Marwin Gutierrez declares that he has no conflict of interest. Christian Alfredo Waimann declares that he has no conflict of interest. Carlos Pineda declares that he has no conflict of interest. Javier Eduardo Rosa declares that he has no conflict of interest. Santiago Ruta declares that he has no conflict of interest. Oscar Sedano-Santiago declares that he has no conflict of interest. Ana Maria Bertoli declares that she has no conflict of interest. Marcelo Audisio declares that he has no conflict of interest. Cristina Hernandez-Diaz declares that she has no conflict of interest. Lucio Ventura-Rios declares that he has no conflict of interest. Maritza Quintero declares that she has no conflict of interest. Eugenio De Miguel declares that he has no conflict of interest. Ana Laura Alvarez-del-Castillo-Araujo declares that she has no conflict of interest. Andy Abril declares that she has no conflict of interest. Eliana Natalí Ayala-Ledesma declares that she has no conflict of interest. Edith Alarcon-Isidro declares that she has no conflict of interest. Maria Lida Santiago declares that she has no conflict of interest. Mariana Alejandra Pera declares that she has no conflict of interest. Cecilia Urquiola declares that she has no conflict of interest. Gustavo Rodriguez Gil declares that he has no conflict of interest. Lina Maria Saldarriaga Rivera declares that she has no conflict of interest. Cesar Cefferino declares that he has no conflict of interest. Mariana Benegas declares that she has no conflict of interest. Mario Enrique Diaz Cortes declares that he has no conflict of interest. Maximiliano Bravo declares that he has no conflict of interest. Diana Peiteado declares that she has no conflict of interest. Natalia Anahi Estrella declares that she has no conflict of interest. Roser Areny Micas declares that she has no conflict of interest. Jorge Saavedra Muñoz declares that he has no conflict of interest. Rodolfo del Carmen Arape Toyo declares that he has no conflict of interest. Maria Soledad Gálvez Elkin declares that she has no conflict of interest. Walter Javier Spindler declares that he has no conflict of interest. Clarisa Sandobal declares that she has no conflict of interest. Josefina Marin declares that she has no conflict of interest. Manuella Lima Gomes Ochtrop declares that she has no conflict of interest. Ricardo Pavao Ayala declares that he has no conflict of interest. Erika Roxana Catay declares that she has no conflict of interest. Guillermo Enrique Py declares that he has no conflict of interest. Gabriel Hector Aguilar declares that he has no conflict of interest. Yvonne Yona Rengel Colina declares that she has no conflict of interest. Carla Antonela Airoldi declares that she has no conflict of interest. Claudia Selene Mora-Trujillo declares that she has no conflict of interest. Maria Paula Kohan declares that she has no conflict of interest. Lorena Evelin Urioste Eguez declares that she has no conflict of interest. Concepción Castillo-Gallego declares that she has no conflict of interest. Jose Francisco Diaz-Coto declares that he has no conflict of interest. Patricio Tate declares that he has no conflict of interest. Carla Magali Saucedo declares that she has no conflict of interest. Oscar Vega-Hinojosa declares that he has no conflict of interest. Cristian Jonatan Troitiño declares that he has no conflict of interest. Maria Florencia Marengo declares that she has no conflict of interest. Priscila Maria Marcaida declares that she has no conflict of interest. Irene Monjo Henry declares that she has no conflict of interest. Roberto Muñoz-Louis declares that he has no conflict of interest. Carla Solano declares that she has no conflict of interest. Felix Reinaldo Fernandez Castillo declares that he has no conflict of interest. Cesar Enrique Graf declares that he has no conflict of interest. Mara Guinsburg declares that she has no conflict of interest. Maria Julia Santa Cruz declares that she has no conflict of interest. David Alejandro Navarta Ortiz declares that he has no conflict of interest. Magaly Alva Linares declares that she has no conflict of interest. Marcos Gabriel Rosemffet declares that he has no conflict of interest.